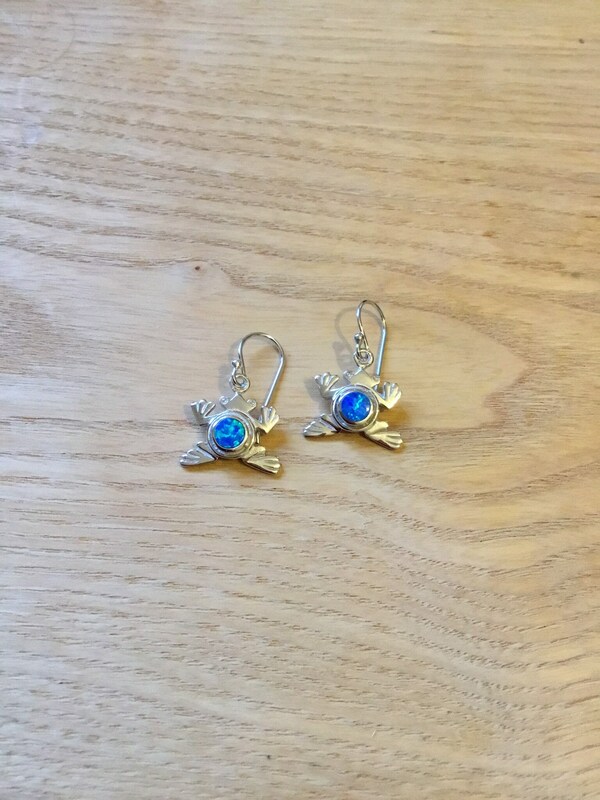 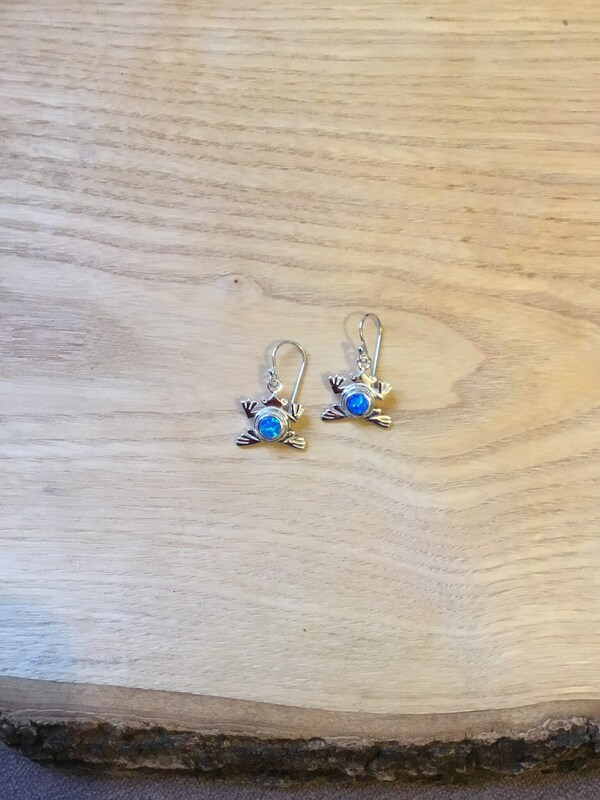 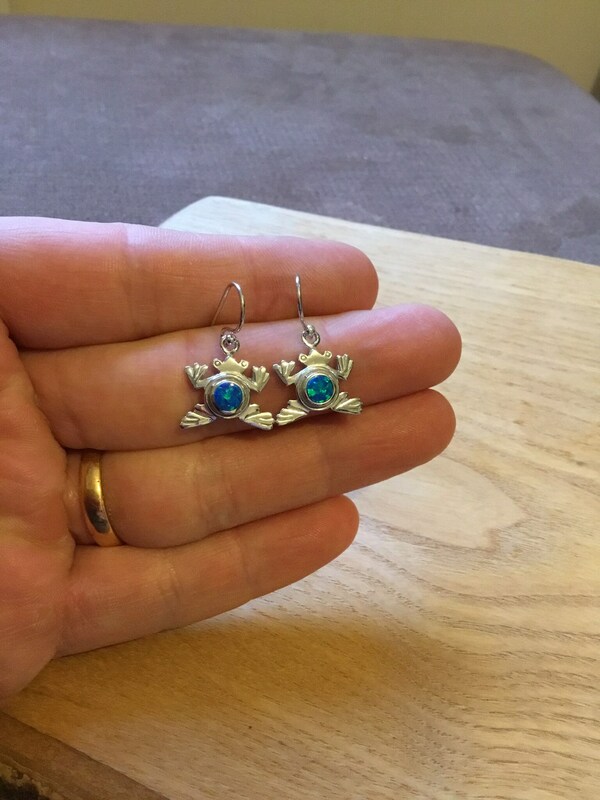 A Fantastic Pair of Frog Drop Earrings in Sterling Silver and Inlaid With Vibrant Opal. 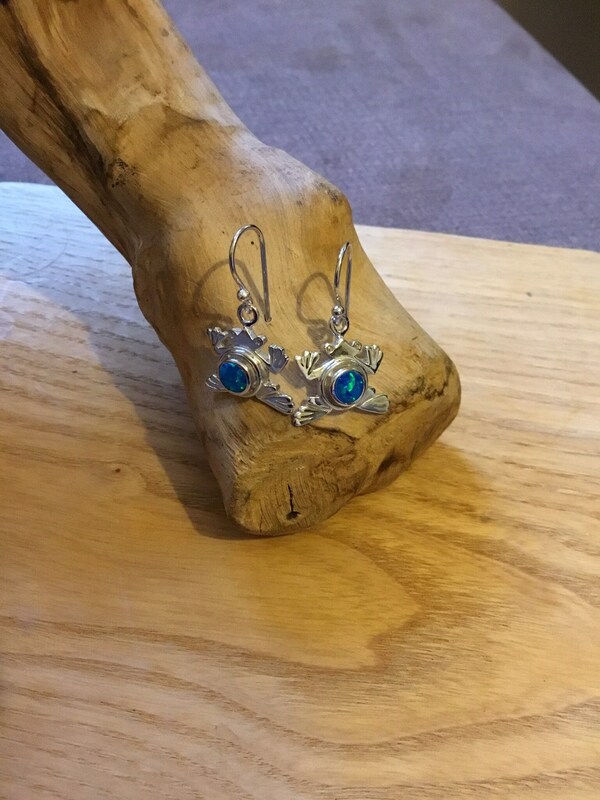 The Opal is Blue and Green and Each Frog Has A Single Round Piece Inlaid Comprising The Body, The Sterling Silver Has Been Left In A High Polish Minimalistic Finish. 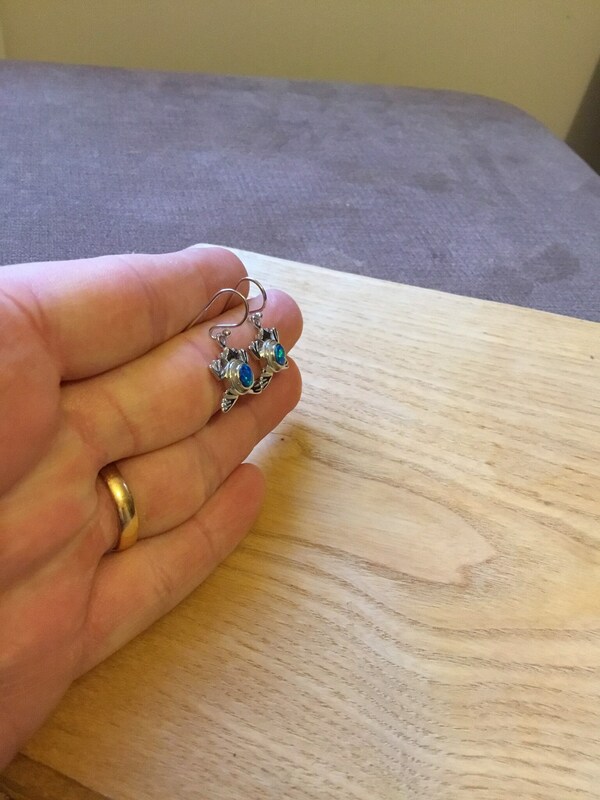 With a Measurement of 28 mm Long Inclusive of Wires, 17 mm Wide and 4.5 mm Deep. 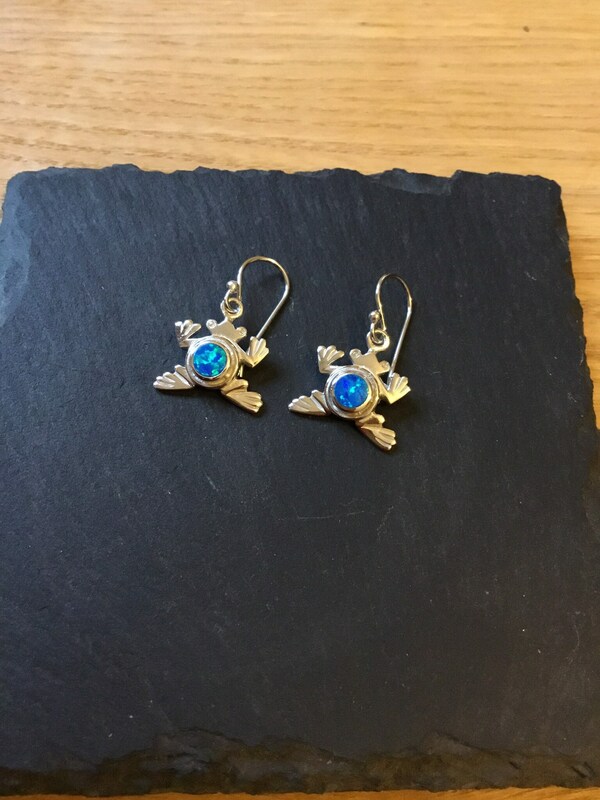 These Lovely Frogs Are Made Solidly Giving a Nice Weight, The Reverse Side is Backed. 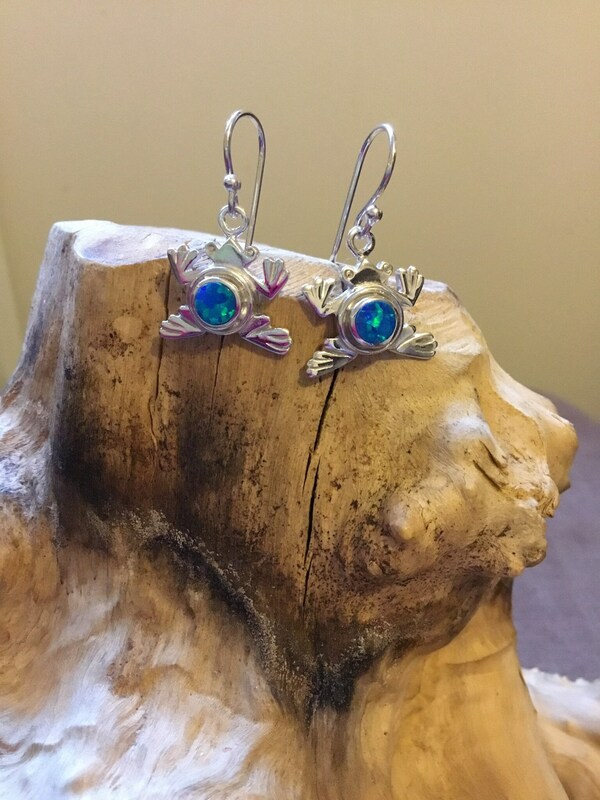 With an Array Of Colour Bursting from Within The Opals.